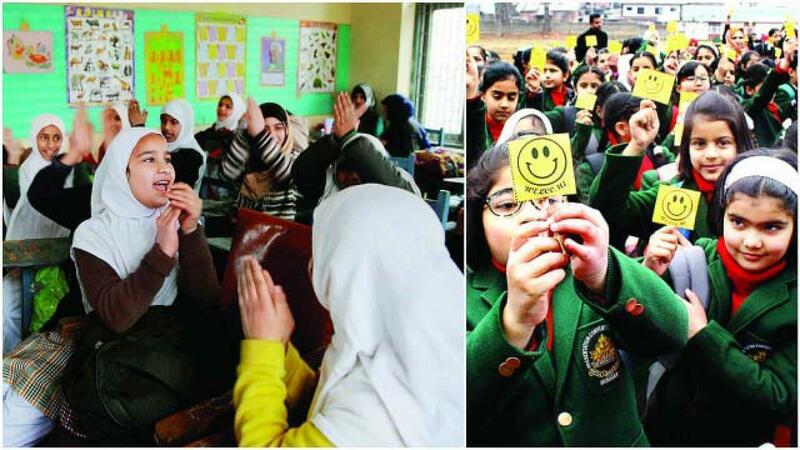 Srinagar, Apr 16: Barring some colleges and Higher Secondary Schools (HSSs), all educational institutes reopened on Monday in Kashmir valley after remaining closed for five days. “The authorities have decided to suspend class work in some colleges and HSSs in selected Kashmir districts as a precautionary measure to prevent protests,” official sources told TNN. However, they said class work in rest of the educational institutes resumed in the valley after remaining suspended for about five days. All HSSs and colleges will remain closed in central Kashmir district of Ganderbal, where a student, who was injured on April 3 in security force action, succumbed in a hospital on Sunday. They said class work will also remain suspended in Women’s college on M A road and Amar Singh college in the summer capital, Srinagar while rest of the educational institutes will function normally. Despite rain, students of different schools, wearing colourful uniforms, were seen waiting for the school busses and marching towards their respective educational institutes early on Monday morning. “Government Degree College (GDC) Sopore and Boys HHS Sopore in north Kashmir district of Baramulla remained closed though teachers had to report in their respective institutes,” they said, adding classes will resume in rest of the institutions in the district. They said class work also remained suspended in GDC Kupwara, GDC Handwara and HSSs in Kralgund, Handwara and Langate. Similarly, class work in Degree College Shopian and a HHS in Shopian remained suspended for security reasons. Schools and colleges were closed since April 12 following massive protests in the valley on April 11 when four civilians were killed in security force action on demonstrators protesting near an encounter site in south Kashmir district of Kulgam. However, apprehending more trouble authorities suspended class work in Kashmir on April 12. On April 13 and April 14, educational institutes remained closed due to gazetted holidays.